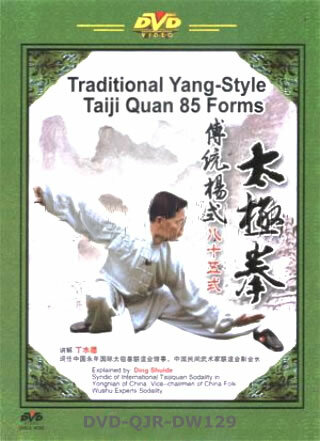 Traditional Yang-atyle Taiji Quan 85-Form is very practical. It combines dynamic with static movements, gentleness with hardness, like a dragon flying around. It enjoys a good reputation that the player can have a trial of strength with his opponents without body contact.